My ears are more alert than my eyes. I hear the song before I see anything. “Reckless” by Australian Crawl takes me back. With a funereal bass line, and a snare drum like gunshot, it’s prominent in the soundtrack to my last year at school. This was also the year I broke my arm playing junior football for Kapunda. June and my season, wrecked. A fortnight later my arm was to be re-broken, as the locum had not aligned it. Six more weeks in a cast! So with Mum watching I was on a hospital bed as the resident doctor loomed and mumbled. “Ouch! It’s hurting!” I sensed the subterranean crunching. I was in distress. “ No, it’s really hurting!” Not just Masters bakery is out of sausage rolls distress. Or even Skyhooks split distress. Minutes later the doctor squinted at the drip. He realised. His tone transformed. “Oh! I’m so sorry. I’m very sorry!” There he was, fracturing my arm enthusiastically, but, somehow, having neglected to turn on the anaesthetic. After, the local veterinarian gave me artificial insemination gloves to slide over my cast when showering. Pleasingly, for the district’s young and old bulls and especially me, these were not pre-loved. We’re at the Australian School in Singapore. It’s Auskick registration on Australia Day. With blonde mops, the boys now merge. Unlike much of Asia, no one here takes their photo. Ninety-five inches of rain annually means there’s artificial turf. However, they’ll be in the cavernous gym. No footy boots. Not yet. The covers band chugs along. “Reckless” runs into “Flame Trees.” More country town wistfulness. 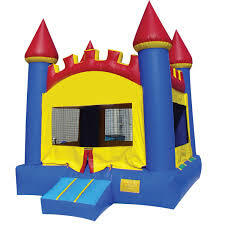 Bouncy castles. Bins bulging with ice and drinks. BBQs and stalls. Barefoot blokes, clutching lagers, kick to kick. They spill nothing. They could be Geelong backmen. We rush the Singapore Sharks footy tent. And so Alex is to begin his career as number 13. Could be worse. Shane Ellen kicked five in the ’97 grand final wearing 13. We like Tex, but I can’t envisage our first born cultivating a Broken Hill mullet. “Sounds good.” Nathan Bassett is Adelaide’s best number 8. The boys’ mother’s favourite too. Dependable. Left arm like a telescope, and an under-age kicking style. A bouncy castle seduces us like sirens, both footy ground and Greek mythological. I think ahead. What do we want for our fledgling footballers? A thirst for sport and endeavour. Skills, but also camaraderie and community. And ultimately, social and personal responsibility. As Malcolm Blight maintains, football is difficult. You wait for your turn in a handball drill. It devours your boyish patience. Mostly, you don’t have possession. You watch the ball up the other end. Zinging anticipation. And then- it’s coming your way! Make a decision. Quick. Do something! But there’s fun too. My home club owns this, and Essendon’s behemoth doesn’t. I imagine Kapunda as a brittle island up against the seismic bullying of the AFL. I imagine Demetriou ringing the club president, and in a loutish, aborted monologue, trying to acquire it. Mini-League was my Auskick. Wednesday training at Dutton Park. Former stationmaster Bruce Dermody was our coach. He was grandfatherly. “Hold that ball straight, when you kick lad!” We’d have scratch matches with goalposts across the ground, down the trotting track end. It was an innocent island. It was our world. Only stopping because of the gathering gloom, we’d then cycle home to chops and three veg. Dukes of Hazzard and bed. Bruce met his wife Melva at Bowmans, a railway siding, between Balaklava and Port Wakefield. It’s long gone. They lived for the club, and it was their family. Now they are also gone. 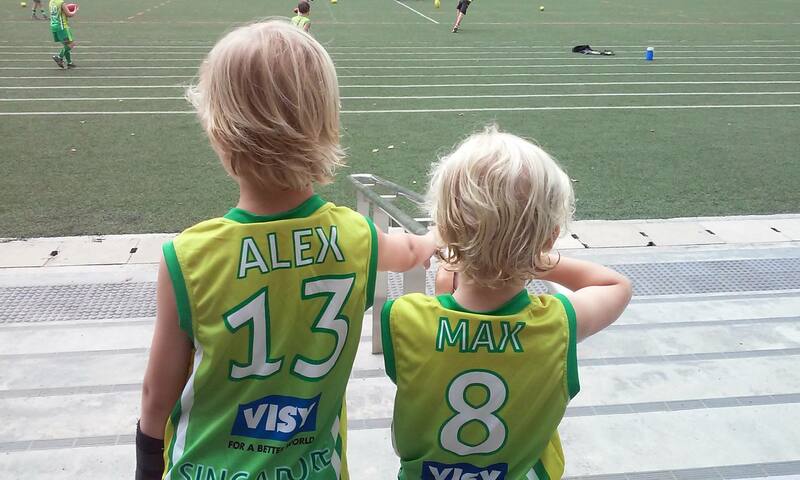 With blind, familial loyalty Alex and Max often announce, “I’ll play for the Kapunda Bombers!” Their Poppa, my Dad, is a life member. Football flows like rain. A stationmaster? My boys are likely to be coached by a web-master. Leaving this rowdy islet of Australiana, the band jangles through Powderfinger’s “My Happiness.” What varieties of happiness might football offer Alex and Max? What will it teach them of the tantalising connections between danger and beauty? Others and self? Will football become a faithful, tormenting mate, or fade like a sepia photograph in a museum? This Saturday, we’ll start to learn.